Any parent should know that 13-year-olds don’t make the best decisions with credit cards and when you’re a banker like Jeremy Hillman, there is just no excuse. 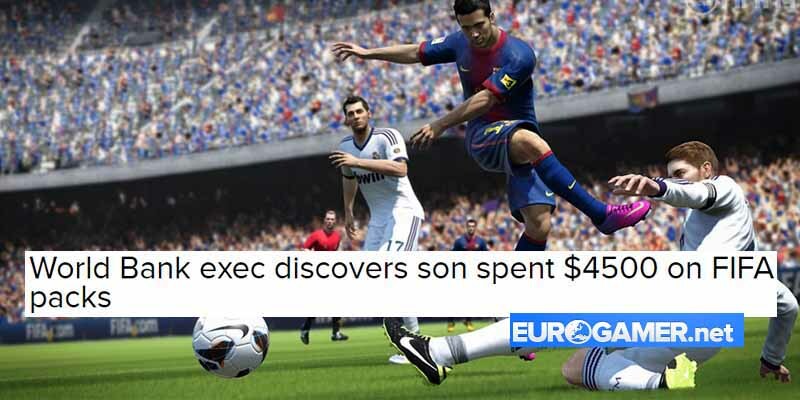 Still, Hillman, director of corporate communications at World Bank, entered his credit card info into his son’s X-Box, who then proceeded to rack up a $4500 bill buying FIFA packs. Even though Hillman admitted he’s partially to blame, he also blames Microsoft. His story is that his son tried to buy one $100 pack and the transaction didn’t go through, so he tried again….45 times. On his original blog post (that’s since been deleted), Hillman suggested that someone should get a class-action suit together to protest all these children who are spending all this money on games. Later, he noted that he hadn’t filed any such request himself, and that he had simply paid the bill.